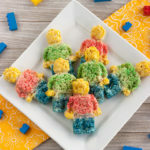 Want unique LEGO rice krispie treats for a LEGO themed birthday party? These MiniFigs will be perfect! Everyone will enjoy these soft delicious treats! For my son’s 6th birthday party, we had a LEGO themed party for him. He loves all things LEGO. 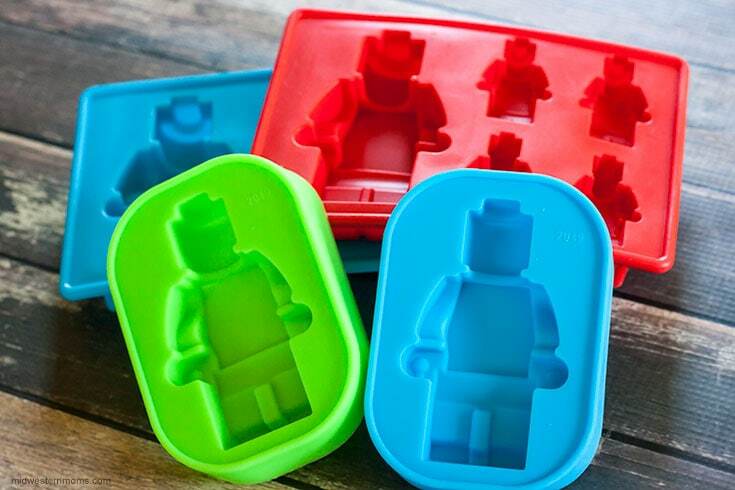 When I found these LEGO-inspired silicone molds, I had to get them and see what all I could make with them. 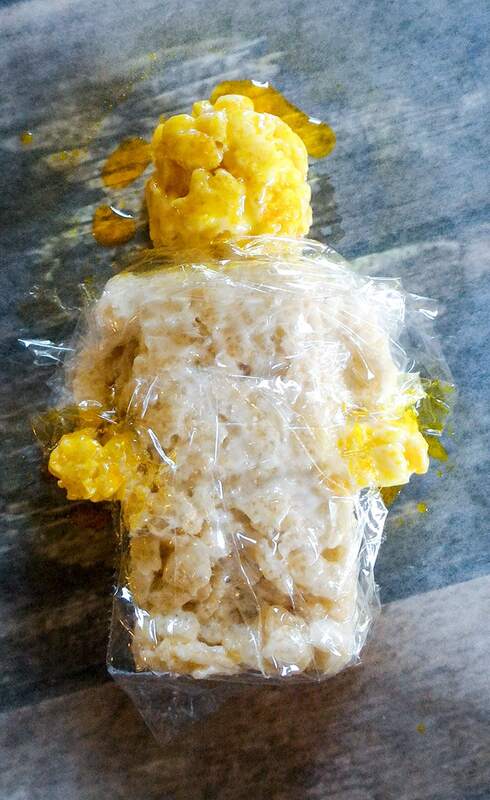 Of course, rice krispie treats were number one on my list to make with the large figure mold. 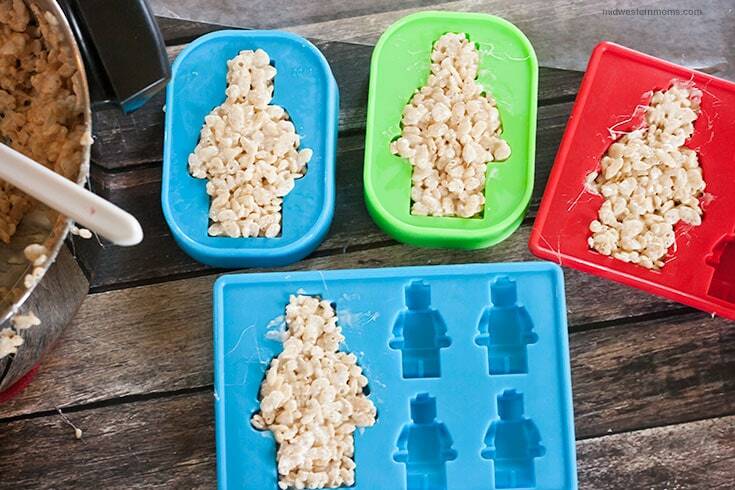 After making your treats, it is time to mold them. Grab the large figure silicone molds. Before putting any of the treats in the molds, spray the insides with non-stick spray. This will allow the treats to come of the molds easier. As you work, you may need to re-spray the molds when the treats start to stick. Using a spoon dip out some of the treat mixture and put it in the molds. Spray a spatula with non-stick spray and use it to press the treats into the shapes. After you have them filled, gently push the figures out from the mold and lay them on wax paper. Work quickly to get all the figures formed. As the treat mixture cools, it will be harder to work with. I was able to make 21 figures from my batch of treats. To add color to the figures, you will need Wilton Color Mist in the following colors: yellow, green, red, and blue. Place wax paper on the large cookie sheet. Lay some of the treats on the wax paper, however, spread them out. You do not want them too close together. Why use a cookie sheet? I found out that the color mist will bleed through the wax paper. YIKES! So a cookie sheet will protect your surfaces. I used the cling wrap to cover the areas I didn’t want be yellow. So I covered the shirt and the legs. I cut small sections of the cling wrap to do this. Then I sprayed the head and hands yellow. Repeat the process for the shirt and pants. I used the cling wrap to cover the areas of the figure I didn’t want whatever color I was using. Make sure you let them dry completely before putting the treats away. I found it was best to make these the day before they are needed. 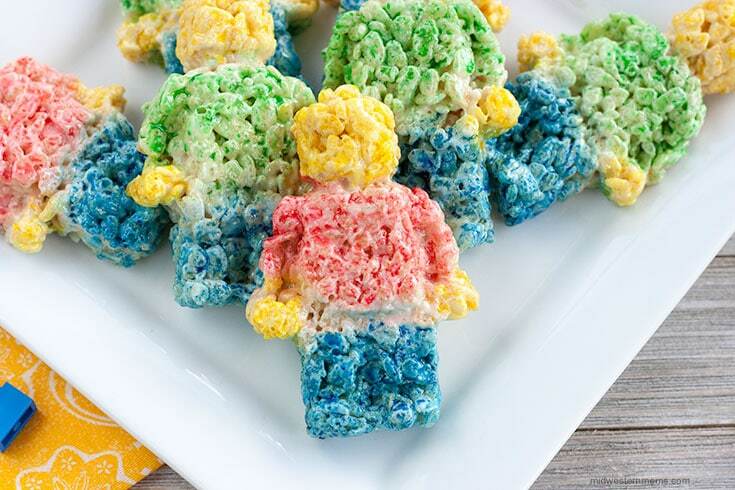 Easy recipe to make delicious LEGO minifig rice krispie treats. Check out these tips should you need help with your treats. Spray the molds with non-stick spray. Using a spoon add some treat mixture to the mold and use a spatula (sprayed with non-stick spray) to press the treats into the molds. Gently remove the treats from the molds and place on wax paper. Work quickly to form all the treats before they cool. Line a large cookie sheet with wax paper. Lay some figures on the sheet leaving room between them. Repeat #9 for each color spray. Remember to cover the areas you don’t want spray. Allow to air dry before storing. If you are making these for a party, I highly suggest do these the day before to allow for then to sit out and air dry. Adding color to the treats is optional. 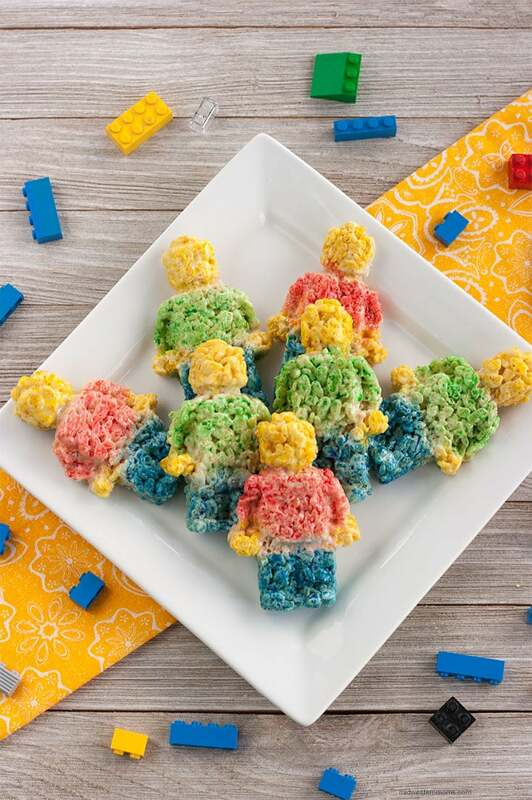 It is ok to leave them the natural rice krispie treat color if you wish.